In March 2002, the Irish Government introduced a 15 cent levy on plastic shopping bags that were previously provided free of charge to customers at points of sale (Convery et al 2007). This was introduced under 2001 Waste Management Act. 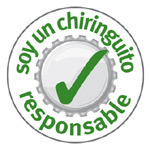 The Spanish Biodiversity Foundation (Fundacion Biodiversidad) of the Ministry of Agriculture, Food and the Environment, prepared a ‘Decalogue of Good Environmental Practices’ and launched a campaign asking beach snack bars (called ‘chiringuitos’ in Spanish) to adopt it by signing a pledge.